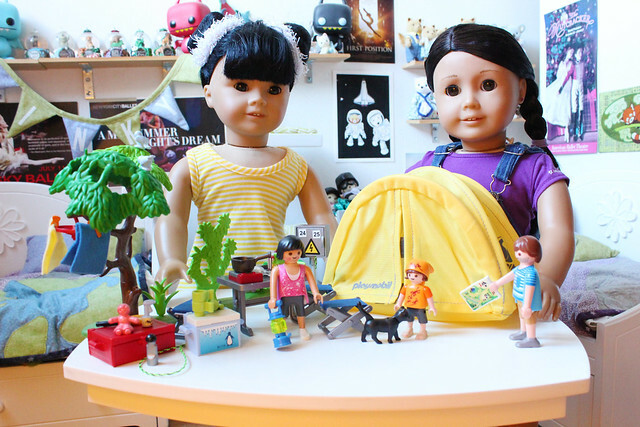 Playmobil Camping! - Super Inky! 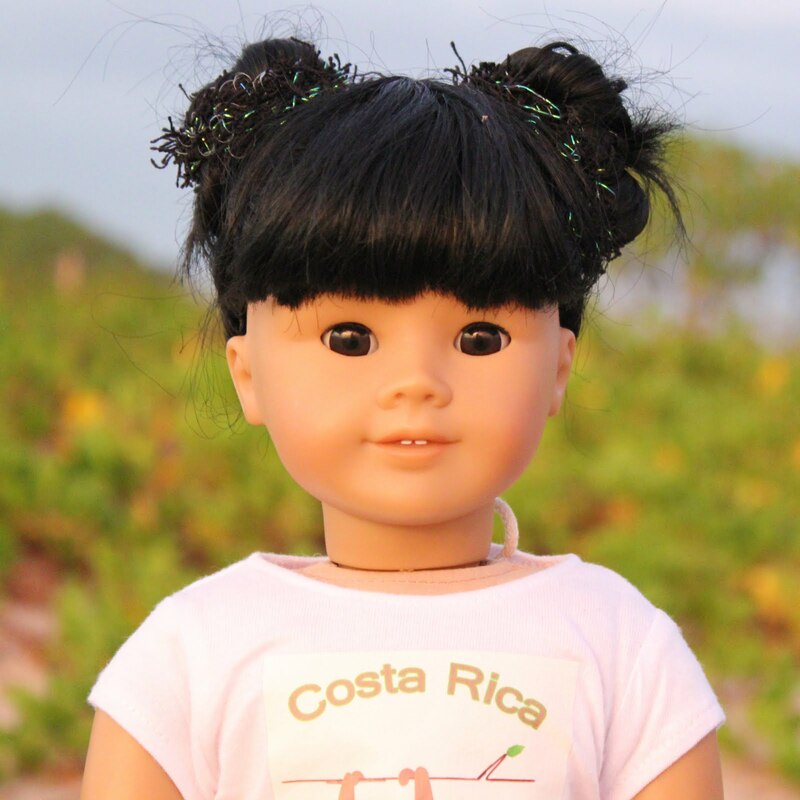 One of my favorite summer activities is going camping! Violet agrees with me, of course. In fact, she and I have been camping together many times, from Cape Cod to Zion. However, yesterday it was pouring rain- definitely not a good day to play with our tent in the courtyard! Instead, we got out this little Playmobil camping set. Isn't it cute? It even has a tiny camping stove! I have been waiting for this set to come out- I'm so glad my parents got it for me! 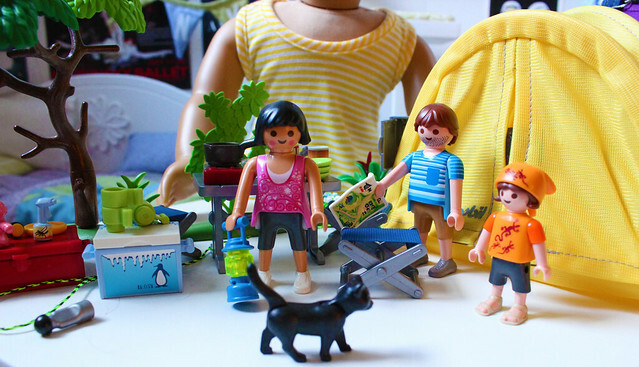 I am not allowed to take my Playmobil outside, because tiny pieces are easy to lose in the grass. Still, it was fun to set up the tent and camping scene up on my craft table. 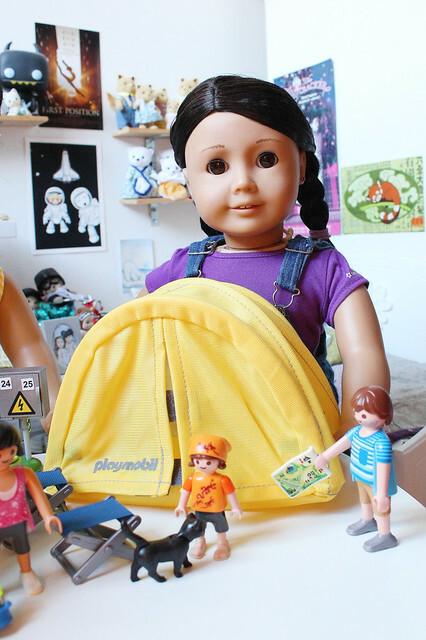 I love to play with my Playmobil sets, but it is even more fun to play with Violet because she gives the characters the best voices! Violet loves how the dad in the set didn't shave! He has little dots all over his face! She also loves the bright yellow tent. Here is the little scene up close. Aren't the figures cute? I can't wait until it is time for me to go camping again. My mom and I have been poring over all of our different travel guides, thinking up places to camp. Of course, our family favorite is Cape Cod! I am hoping to go there this summer, but my moms say that we'll have to see. Have you ever been camping? Where did you go? The mountains? The beach? In this entry I'm wearing: yellow and white striped shirt from Our Generation at Target, green shorts from Royal Doll Boutique. Violet is wearing overalls and purple tee from American Girl. How cute! 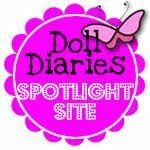 The kitty is sweet :) Are you going to go to Camp Doll Diaries? 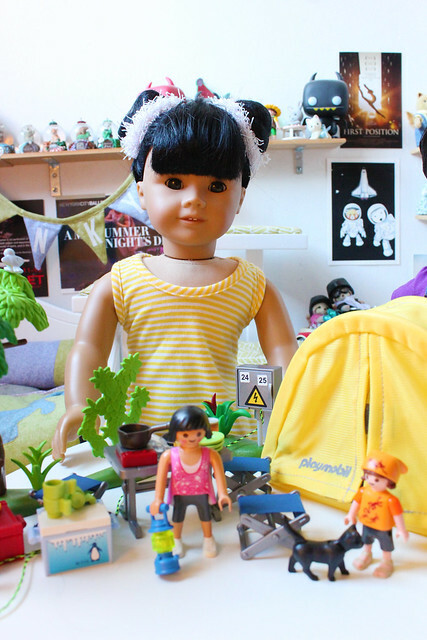 The Playmobil set looks cute! C. used to have the airport, but she lost it in a move years ago. I haven't been camping, but I would like to try it someday. My family prefers to go to the beach and stay in my grandparents' beach house. That sounds like an brilliant way to brighten up a rainy day. I don't use Playmobil that much (I prefer Legos) but the detail on those sets is amazing! I haven't ever been camping, but it sounds amazing! And I love your outfits. I wish I could wear tank tops, but it's really far north here, so it's so cold. Aww!! 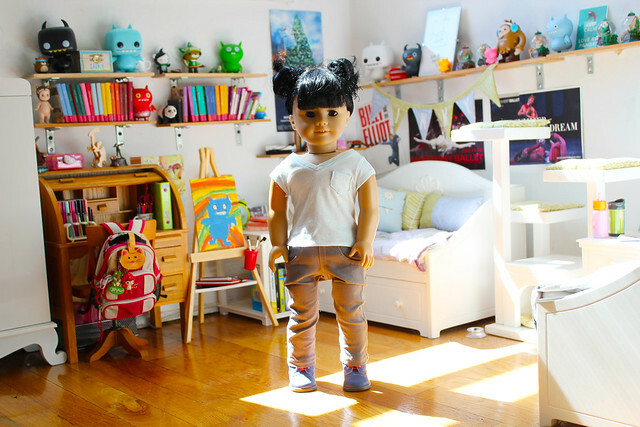 You and Violet look adorable! As soon as I found out you liked Playmobil, I dug out my nativity set! Ivy and Saige love it!